Jericho Brown is the author of two books of poetry, The New Testament, and Please, which won the 2009 American Book Award. Brown is the recipient of a Whiting Writer’s Award and has received fellowships from the Bread Loaf Writers’ Conference, the Krakow Poetry Seminar in Poland, the National Endowment for the Arts, and the Radcliffe Institute at Harvard University. He is currently an assistant professor of English and creative writing at Emory University in Atlanta, Georgia. TJ Jarrett is a writer and software developer in Nashville, Tennessee. Her debut collection Ain’t No Grave was a finalist for the 2013 Balcones Prize. Her second collection, Zion, was the winner of the Crab Orchard Open Competition in 2013. Her recent work has been published or is forthcoming in Poetry, African American Review, Boston Review, Beloit Poetry Journal, Callaloo, DIAGRAM, Third Coast, VQR, West Branch and others. She has earned scholarships from Colrain Manuscript Conference and Vermont Studio Center; fellowships from Sewanee Writer’s Conference 2014 and the Summer Literary Seminars 2012 and 2014; winner of VQR’s Emily Clark Balch Prize for Poetry 2014; a runner up for the 2012 Marsh Hawk Poetry Prize and 2012 New Issues Poetry Prize; and her collection The Moon Looks Down and Laughs was selected as a finalist for the 2010 Tampa Review Prize for Poetry. Robin Coste Lewis is a the author of Voyage of the Sable Venus (Knopf, 2015). A Provost’s Fellow in Poetry and Visual Studies at the University of Southern California, Lewis is also a fellow of the Los Angeles Institute of the Humanities. She received her MFA from NYU in poetry, and an MTS in Sanskrit and comparative religious literature from the Divinity School at Harvard University. A finalist for the International War Poetry Prize, the National Rita Dove Prize, and the Discovery Prize, her work has appeared in various journals and anthologies, including The Massachusetts Review, Callaloo, The Harvard Gay & Lesbian Review, Transition, VIDA, Phantom Limb, and Lambda, amongst others. She has taught at Wheaton College, Hunter College, Hampshire College and the NYU Low-Residency MFA in Paris. Fellowships and awards include the Caldera Foundation, the Ragdale Foundation, the Headlands Center for the Arts, and the Summer Literary Seminars in Kenya. Born in Compton, California, her family is from New Orleans. 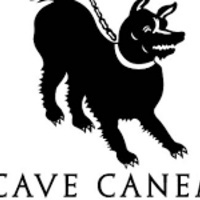 Sponsored by the Creative Writing Program and Cave Canem Foundation.